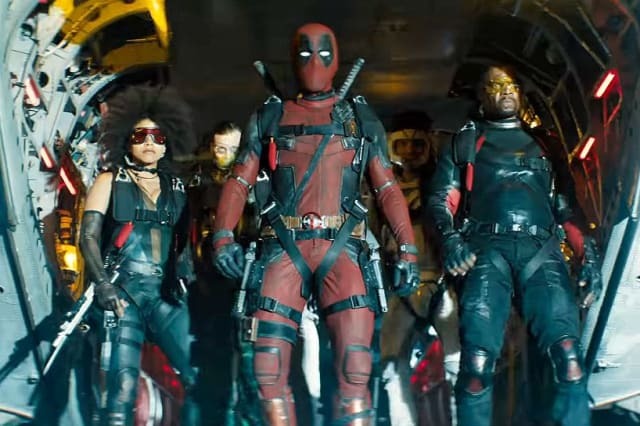 Which X-Force Member Are You? Quick wits and devilishly good looks. Military training and precise strategy. I'm always at the right place at the right time. I'm cerebral, always in my opponents' heads. I'm focused and have clarity of being. Well, I've never missed a day of work, and I keep up with my taxes! Go to my room with my stuffed unicorn. Prepare for the next mission. I'm a bit of a card shark. I like to tinker with electronics. My model trains aren't going to build themselves! The greatest person to every walk the planet! If I do my job right, they won't see me. As a fellow student in life. As someone who'd listen to soft rock in a minivan. How do you feel about your teammates? Great! I love human shields—I mean partners! They'd better stay out of my way. Meh. We'll see if they're up for a good time. They're ideal as long as they can hold their own. Good. They compliment my fighting style. They seem okay, I guess. Kinda tough, right? I don't need any, do I? Where can we find you on the battlefield? Doing a bit of everything. Hiding behind a wall and likely pooping my pants. To get back to my spouse. To prevent bad things from happening. To enjoy life as it comes. To have lots of friends. Whatever doesn't kill you makes you weirder. Hard choices have to be made for the greater good. Take life as it comes and you'll always get the best of it. You can be the change you want to see in the world. You can only master the world once you master yourself. Work hard, play hard and try not to get stuck in traffic. You're Deadpool, the merc with a mouth! You're a jack of all trades, master of all! You're funny, creative and resourceful, especially with your regeneration and martial arts skills. You might be a little too crazy at times, but… well, you might be the right kind of crazy. You're Cable, the time-traveling soldier! You're direct, efficient and single-minded on your goals. With an assortment of futuristic weapons and psychic abilities, you're more than capable of accomplishing anything. You can be a little intense, but when the world's at stake, you're the hero we need. You're Domino, the acrobatic assassin! You're carefree, snarky and flexible. With the power to manipulate probability, you're Lady Luck to your friends and Miss Fortune to your enemies. You can be overconfident and let things slip by, but with your incredible skills, things are always coming up aces. You're Bedlam, a bio-electrical wizard! You're cerebral, intuitive and utterly loyal to your friends. With your ability to manipulate electrical impulses, you're a master of technology and sabotage. You might wear your heart on your sleeve too often, but when someone needs a helping hand, you're always there. You're Shatterstar, the mutant master of martial arts! You're introspective, diligent and collected. With your superhuman reflexes and mystical sword techniques, you're a maestro in combat. You can be a little detached and distant, but when things get crazy, you keep calm and carry on like a champ. You're Peter, and you do it all: Taxes! Cooking! Going to work! Regularly bathing! Watching your cholesterol! That's right, nobody wears a button down shirt and khaki pants like you. Trust us, you're the single most important member of the team, and there's no chance of you ever being killed by a supervillain. *snickers* No, really, we mean it! Oh, you want to join our super-duper group? You've got to be tough, morally flexible and able to carry your own franchise for ten to twelve years. If so, c'mon in, and see which X-Force member you are!